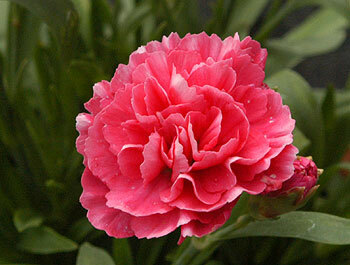 Additional information: The Carnation has been cultivated for thousands of years, it is often worn at special family occasions such as weddings, red if ones mother is alive, white if not as some of the colour has left your life. Siteseen Ltd. are the sole copyright holders of this Red Carnation flower picture, unless otherwise stated. We only authorise non-commercial picture use and particularly encourage their use for educational purposes. This Red Carnation flower picture is not in the Public Domain. 3) Use of this Red Carnation picture, or any of our pictures on websites re-distributing copyright free material is strictly prohibited.